Here’s how to port your iOS apps to macOS 10.14 Beta using Apple’s iOSMac/Marzipan framework. A “Hello World” iOS app can become a macOS app in less than 5 minutes. (I timed it.). This post will show you how to use my tools to build your own iOSMac apps on macOS 10.14 Mojave beta. 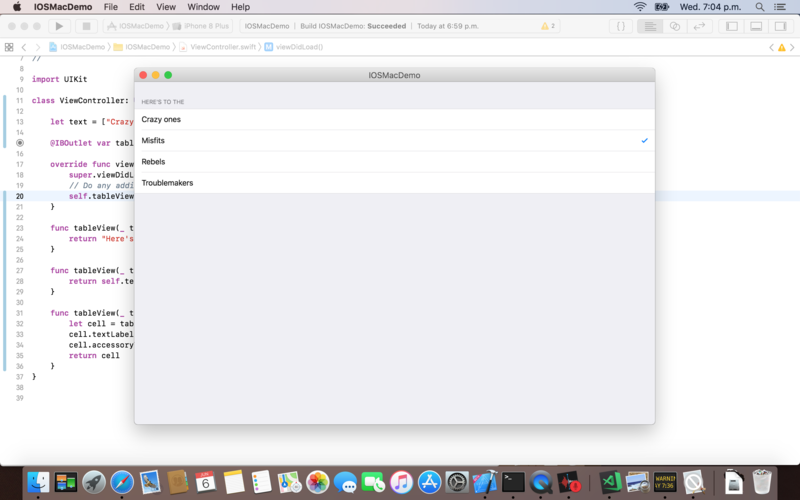 Edit June 7: @NSBiscuit released an easier method for making iOSMac apps. Try that method if this tutorial doesn’t work. Apple announced at WWDC that they were developing a framework, named iOSMac/Marzipan, to allow iOS developers to build apps for macOS, and revealed that the Home, Stocks, News, and Voice Recorder apps in macOS 10.14 are all ported from iOS with this framework. While Apple did not provide official support for converting iOS apps to macOS apps, it’s simple to disable the check in macOS and preview the future of unified iOS and macOS development. Obviously, you need the source code of the application to port; Most applications will not run without modification, as many frameworks and classes are missing, preventing most third party libraries such as Facebook SDK and HockeyApp from running. For example, I attempted to port the Kickstarter app, which failed due to its use of the Facebook SDK, HockeyApp, and Stripe. However, both Swift and Objective-C are supported, and Storyboards/Interface Builder layouts are mostly working, so many simple apps should work. 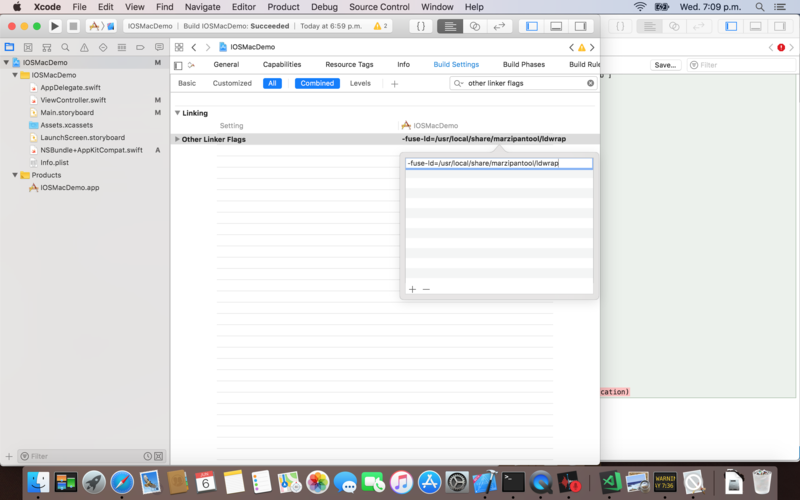 I made a five minute video tutorial showing how to install MarzipanTool, how to enable iOSMac for third-party programs, and how to configure an Xcode project to build with iOSMac. For more details, here’s a text-based tutorial. You will need a Mac running macOS 10.14 Beta, with Xcode 10 Beta installed. (It must be a physical Mac: virtual machines cannot show iOSMac applications, which require GPU acceleration.). You need to disable System Integrity Protection on your computer. You can find tutorials online, such as this one. Note that disabling System Integrity Protection makes your Mac insecure, but is needed for enabling iOSMac support. Please reenable SIP when you’re not running iOSMac applications. Make sure Xcode Beta is selected as the active Xcode. To enable third party applications to use the iOSMac framework, I’ve developed a set of tools named MarzipanTool. Note that this assumes /usr/local/ is writable. If you have Homebrew installed, it should be writable. If not, run sudo ./installtool.sh instead. These steps bypasses macOS’s restrictions and allows your own iOSMac applications to run. You need to keep these programs running when you are testing your own iOSMac applications. First, open Voice Memos to make sure iOS services are started. (lldb) process attach --name "UIKitSystem"
Executable module set to "/System/Library/CoreServices/UIKitSystem.app/Contents/MacOS/UIKitSystem". (lldb) breakpoint set -F "-[FBProcess hasEntitlement:]"
Keep these two terminal windows open. Apps can be compiled for iOSMac by building a modified Simulator binary using MarzipanTool’s linker wrapper. So if your app uses HockeyApp, Facebook SDK, or Stripe SDK, it will fail to build. a UILabel set to center in Storyboard instead aligns to the right (?!). Proper iOSMac headers may fix some of these issues. If you have any advice on shimming/replacing these classes, please update this guide! Fix Text Rendering: Drag the NSBundle+AppKitCompat.m file from the MarzipanTool repo (if you’re using Objective-C) or the NSBundle+AppKitCompat.swift (if Swift) file to your project. Otherwise Storyboard UILabels crash the application. Choose iPhone 8 Plus Simulator as the build target device. Make sure that the two enabler scripts are still running, and that lldb is not stuck. Double click the main executable to launch app. If you encounter any problems, please open an issue on my GitHub repository. iOSMac is disappointingly limited in its compatibility with existing libraries due to its missing frameworks and classes, but surprisingly usable for simple apps. Thanks to @stroughtonsmith, @mistydemeo, and @KhaosT for their help on Twitter, and thanks to @hamzazood for showing iOSMac for third-party applications is possible.